The exhibition and sale will open with a catered preview reception with the artists on Friday, January 25, 2019, from 6:00-9:00 pm in the Academy Mansion on Notre Dame's campus. Online registration for the Preview Party has closed. Tickets will be available at the door for $75. The week long exhibit is free of charge and open to the public from 12:00 pm to 4:00 pm- daily beginning Saturday, January 26 through Sunday, February 3, 2019. The exhibition will feature nearly 100 artists’ works in a variety of mediums, including oils, watercolors, acrylics, ceramics, metals, and glass. For more information, a full listing of artists, and a web gallery of art for sale visit the 46th Annual Art Show's Art Call page here. This year’s featured artist is Delaware resident, Shawn Faust. Faust is currently recognized as one of the premier equine artist in America. He is a founding member of the Portrait Society of America and a Full member to the American Academy of Equine Art as well as an Associate member of OPA (Oil Painters of America). His work hangs in many prestigious corporate and private collections. A variety of recent paintings can be viewed on his website at www.shawnfaust.com. 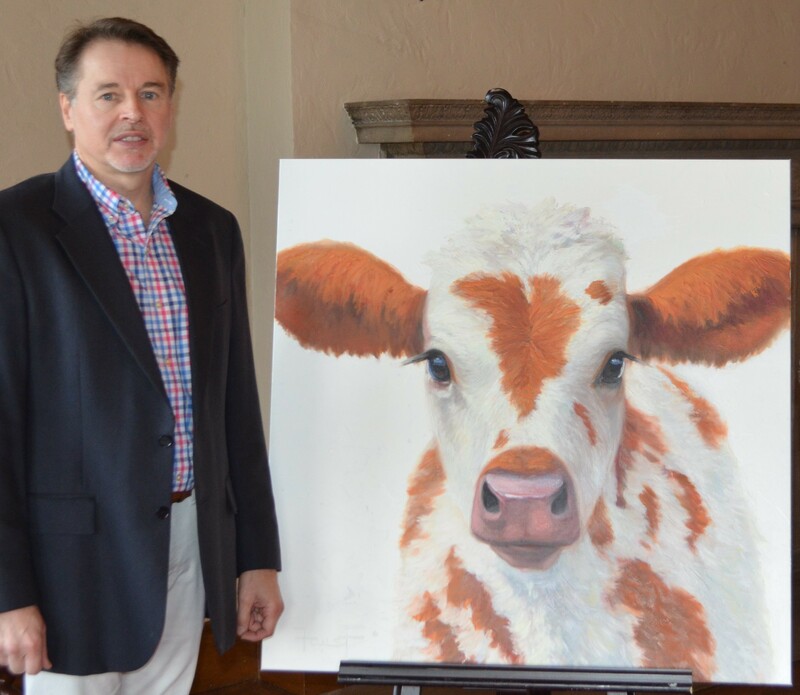 Shawn Faust, the 2019 Academy of Notre Dame Fine Art show Featured Artist with his painting Cowbella.